It’s time to start training! 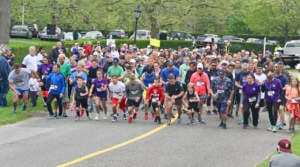 The 14th Annual John May Mile & 5K benefitting the Greenport Fire Department will take place on Saturday, May 11th at Peconic Landing. As the East End’s premier Older Americans Month celebration, the race is open to runners and walkers of all ages and fitness abilities, offering both a relaxed mile-long walk and a more challenging 3.1-mile run. Older Americans Month has been observed to recognize older Americans and their contributions to our communities.